2017 Genesis 375SRT 5th Wheel Toy hauler with Generator! 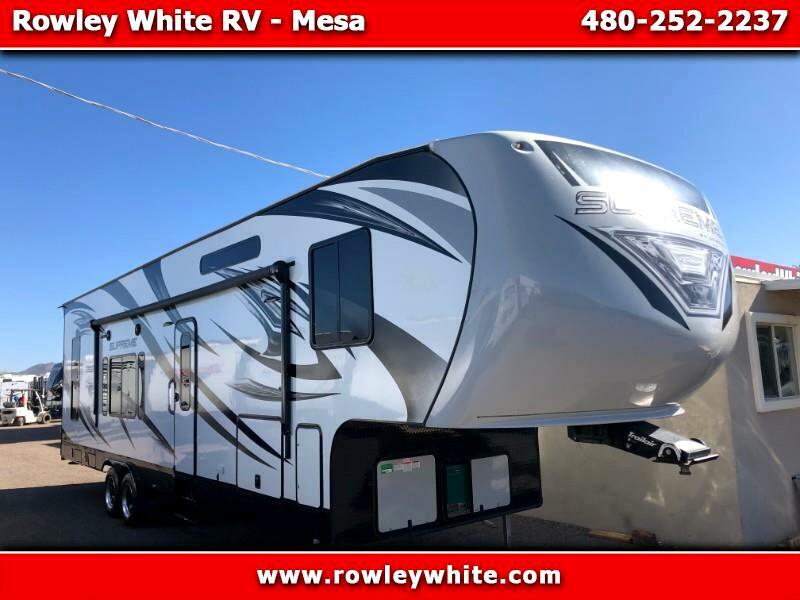 USED 2017 Genesis Supreme 375SRT Fifth Wheel Toy Hauler with bedroom and living room slide out! ***Due to Craigslist.com's fees associated with posting ads we will only be posting a portion of our inventory on Craigslist. For a full look at our inventory and for more pictures of this unit please visit Rowleywhite.com!!! Message: Thought you might be interested in this 2017 Genesis Supreme Supreme Toy Hauler.